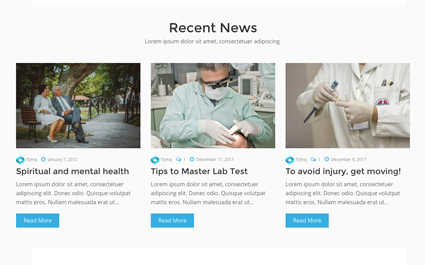 Mediciti is free medical WordPress themes for the hospital, doctors, surgeons, general physicians, pharmacists, practitioners, health centers, clinics any similar kinds. It can be also used by veterinarians. 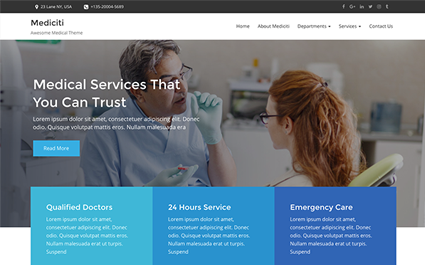 This medical WordPress theme has crucial features such as advance theme panel, call to action, call out section, custom widgets makes it as the best free WordPress theme to showcase your medical service to your clients. No need to be doing anything from the scratch as Mediciti is securely coded and includes one-click demo importer; simply import the demo website, add content and your medical website is ready to roll. Mediciti is optimized for both speed and SEO, makes one of the powerful search engine performers in Google. We have been given the painstaking attention to Admin panel. It contains tons of customization options that provides you the power to customize the site on your own. No need to have a single coding knowledge. 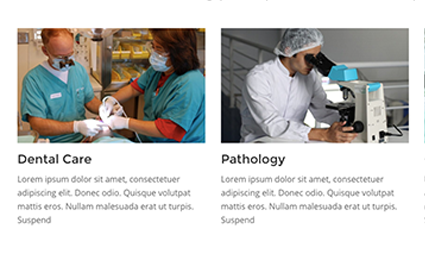 Our free medical WordPress theme is 100% responsive. Every layout of the theme has been tested to check out its appearance on various screen sizes. Be it small or large devices, Mediciti flawlessly adapts them all. No doubt, all of our themes are clean coded, designed and developed keeping SEO in mind.